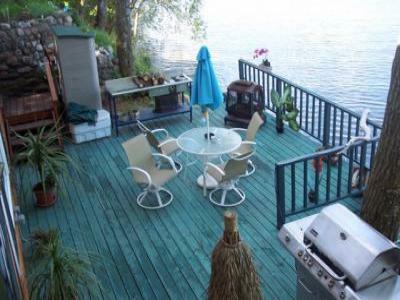 Deck within a few feet of the Water! Home features new stainless steel appliances. with awesome open view and sunsets. Quiet neighborhood. Laundry facilities available. Dishes and linens provided. Caribbean theme and of course lot of fishing!